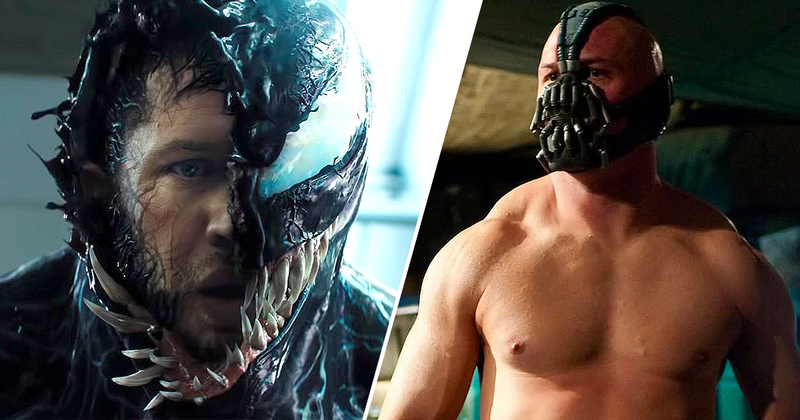 In a cross-universe revelation many fans will marvel at, Tom Hardy has revealed who would win in the most fictional fight of all time: Bane versus Venom. Everyone’s favourite perpetually-masked actor has just embarked on the promotional tour for the upcoming and not-so-eagerly-awaited offering, Venom, in which he plays the titular Symbiote and its human alter-ego, Eddie Brock. He’s clearly determined to answer the big questions. ComicBook.com sat down with Venom co-stars, Tom Hardy (The Revenant, Bronson) and Riz Ahmed (Four Lions, Rogue One: A Star Wars Story), to discuss all things anti-hero. Hardy was asked who’d win: Bane versus Venom? Except, rather than ask the question everyone really wants to know the answer to, regarding brute strength and tactical warfare, Hardy was asked which character would prevail in a public speaking contest. Why this and not actual fisticuffs, we’ll perhaps never know. Now, let’s analyse this very unusual fictional scenario, shall we? You know, for fun, because public speaking contests are great and exactly the sort of thing superheroes should sink their teeth into more often for our cinematic entertainment. It’s not like we don’t already have enough powerful people spreading verbal vitriol in public. Oh, wait. Here we go. Venom is a sentient alien Symbiote with an amorphous, liquid-like form which bonds with a host – usually human – to survive. In this case, Eddie Brock, a pretty average Joe journalist, gifted by a way with words. 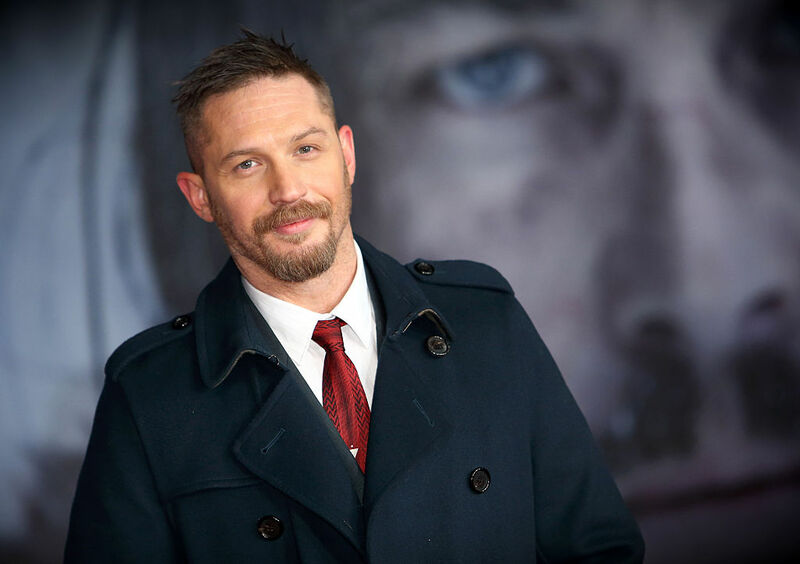 The American accent Hardy has mustered doesn’t sound half-bad either. Bane, on the other hand, is a human with exceptional strength and intelligence rarely matched in his own universe. But even though the Rogues Gallery favourite can lift 15 tonnes and is often cited as the only DC villain to have broken Batman, he doesn’t stand much physical chance against an alien supernatural being, surely? Recently, fans were given an insight into what Tom Hardy’s Venom will bring to the table fight scene, perhaps to put their collective mind at ease since pre-emptive teasers haven’t been met with great reception. But, in the high-stakes game of public speaking, it’s all to play for at this made-up Debating Society. Now, Brock might have the sensationalist flair of modern news storytelling but Bane has the grasp of ten active languages and at least four additional arcane and dead ones. Among these are Spanish, English, French, German, Russian, Mandarin Chinese, Persian, Dari, Urdu, and Latin. How’s that for attracting a universal, global, diverse audience, hey? Also, the voice of Bane in The Dark Knight Rises is one of the most distinctive in modern cinema. Hardy claims the voice was based on bare-knuckle boxing champion, Bartley Gorman, as well as Elizabeth Taylor’s late husband, Richard Burton. It’s pretty irresistible, even if the things it says are despicable. And we’ve all seen one too many times how rousing rhetoric and presentation are more important that actual fact or sentiment in modern politics, haven’t we? Turns out, Hardy agrees. He answered the question of Bane versus Venom in the weirdest public debate ever pretty quickly. Ahmed was quick to step in and offer his opinion on Venom, a ‘demigod’ he believed would be victorious. So, there you have it. Anyway, in this bizarre world in which Venom and Bane find themselves engaging in a public debate – perhaps in the running for a spot in the Oval Office or Senate along with other notable demagogues – Venom will, in all likelihood, just attach onto Bane who’ll become its host and create some mad Symbiote super-villain. Now there’s a film people would pay to see. Venom will be in UK cinemas from October 3.